A new shelter designed to support environmental education programs will open in Riverbend Park in Great Falls this spring. Residents can also reserve the shelter for community gatherings and events. A ribbon-cutting ceremony is set for Saturday, April 27. The $864,000 project — financed through voter-approved park bonds — also includes 18 new parking spaces and enhanced stormwater management. 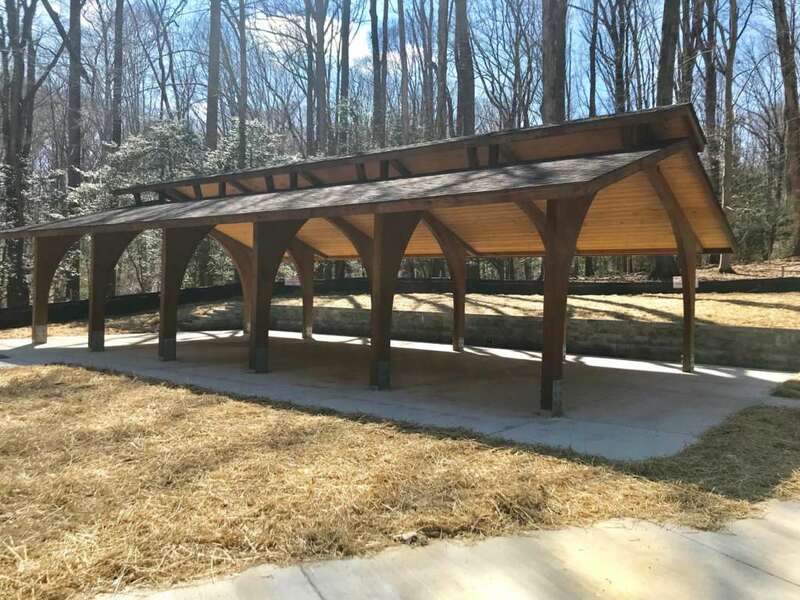 Judy Pederson, a spokeswoman for the Fairfax County Park Authority, told Reston Now the new outdoor education shelter “serves a vital role in outdoor education for local school children,” allowing residents to host up to six classes simultaneously. Previously, the park’s facilities only allowed three classes to be held at once — two indoors and one outdoors. FCPA hopes the new shelter will meet growing demand for additional educational facilities. Buses can also park near boat trailer parking spaces in the lower waterfront parking, Pederson said.